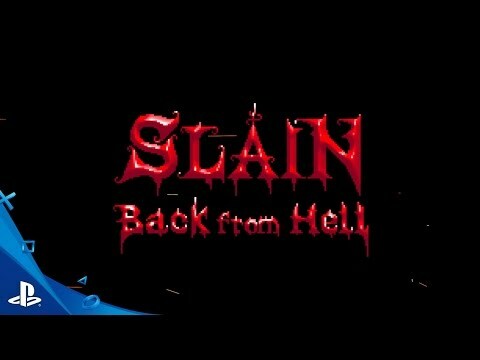 Slain: Back from Hell. A heavy metal inspired arcade combat game with stunning pixel art visuals, challenging old school gameplay and gore galore. Plus the most metal soundtrack you've ever heard! He must battle his way through this blighted land, packed with gruesome and lethal creatures before ascending (or sometimes descending) into a stronghold, all the while defeating fiendish traps and vile monsters alike.